Marlene Rivero said Ann Stokes is buried somewhere in Southern Illinois, but no one knows exactly where. Rivero is a performance artist who brings history to life by portraying African American women from history. Marlene Rivero of Grand Chain began her artistic storytelling talent as Harriet Tubman, which happened in early 2000 after a Forest Service amateur night program. She has since added Ann Stokes and Elizabeth Keckley and others to her repertoire. Her upbringing and family’s history has allowed Marlene Rivero to form a kinship with the likes of Harriet Tubman, Ann Stokes and Elizabeth Keckley. This bond is what allows Rivero to channel these historic figures in her performances. From humble beginnings, an artist was born. While growing up on a family farm in Grand Chain, Marlene Rivero can fondly recall listening to her father. “He was a storyteller. I loved listening to him,” she said. “His grandmother was a slave. She’d raise her blouse, and he could take his fingers and put them in the wounds in her back. Her upbringing and family’s history has allowed Rivero to form a kinship with the likes of Harriet Tubman, Ann Stokes and Elizabeth Keckley. This bond is what allows Rivero to channel these historic figures in her performances. Rivero, an alumna of the SIU School of Forestry, earned a job with the Forest Service. It was there that she got her first big break. 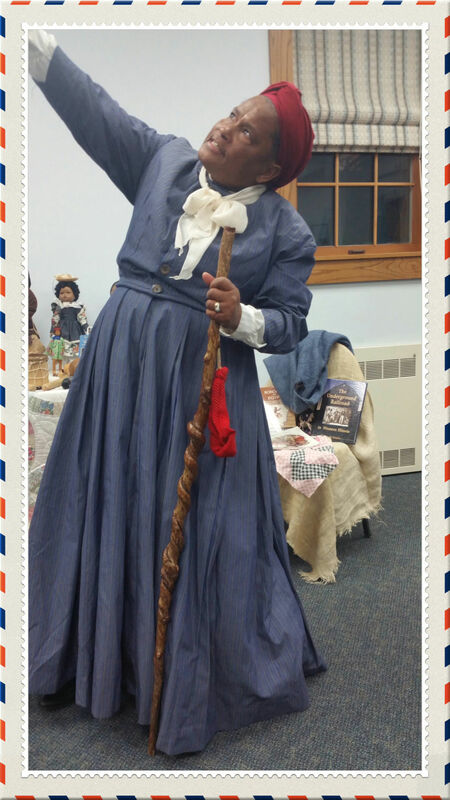 She portrayed Tubman in early 2000 during a Forest Service amateur night event in St. Louis. The reaction was enormous and the impact immediately obvious. From that point on, she found herself in demand as a performance artist. She added Stokes, Keckley and others to her repertoire. She traveled the Midwest and even did shows as far away as Vancouver. Tubman is one of the most famous abolitionists of her time. Best known for her work on the Underground Railroad, Tubman also served as spy and scout for the United States Army and was an activist for women’s suffrage. Stokes was an African-American nurse during the Civil War. Born a slave, Stokes made her way to Mound City after the signing of the Emancipation Proclamation. From there, she was recruited onto the USS Red Rover, a steamboat that traveled the Mississippi River and other interior rivers to treat sick and wounded Union soldiers. Rivero said Stokes is buried somewhere in Southern Illinois, but no one knows exactly where. “If we lift her up, she can bring a lot of attention to Southern Illinois,” she said. Keckley was a former slave turned activist. After buying her and her son’s freedom in St. Louis, she traveled to Washington D.C., and eventually became a confidante to Mary Todd Lincoln. The value of these stories and those like them is immeasurable to African Americans, Rivero said. A lover of all forms of art, Rivero began studying oil painting and 3D mixed media sculpture at Shawnee Community College in 2015. She has incorporated that art into her performance pieces. Recently, Rivero has been recognized for this more traditional artwork. Her work was featured along with other emerging artists at the Anna Arts Center and two of her pieces were awarded blue ribbons at a juried exhibition at Southeastern Illinois College in Harrisburg. In the spring of 2017, Rivero had 13 of her pieces installed and exhibited at the University Museum on the campus of SIU. Most of her artwork celebrates people, the life-altering events they encountered and the heritage from which they came. She said she believes that sharing the emotions of the voiceless African American women’s lives is a way to remember their history and courage. She’s afraid that without art and storytellers that her history could fade away.